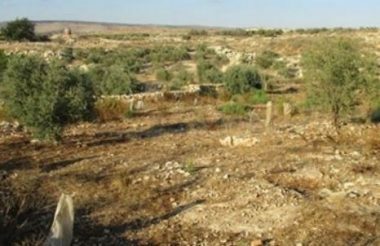 Israeli soldiers prevented, on Monday morning, many Palestinian farmers from Jayyous town, northeast of the northern West Bank city of Qalqilia, from entering their farmlands and orchards, isolated behind the Annexation Wall. The soldiers stationed at the gate of the Annexation Wall, prevented hundreds of farmers from entering their lands, behind the Annexation Wall, west of the town. The soldiers, stationed at Gate #935, refused to allow the farmers through, and did not provide any explanation for this act, while the farmers were trying to tend to their lands, their main source of livelihood. In related news, the Palestinian Prisoners Society (PPS) has reported that Israeli soldiers abducted nine Palestinians from their homes, in several parts of the occupied West Bank.